LISTEN: Faith Mazibuko gives 'unlawful instructions' for electioneering - SABC News - Breaking news, special reports, world, business, sport coverage of all South African current events. Africa's news leader. 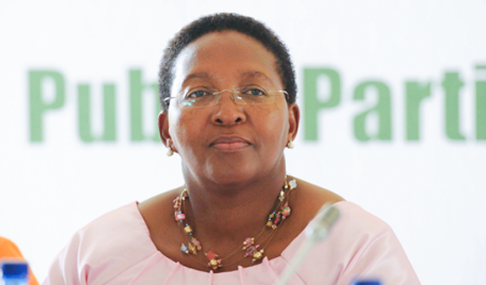 The office of Gauteng Sport, Arts, Culture and Recreation MEC Faith Mazibuko has denied that the MEC gave unlawful instructions to her staff regarding the construction of sport facilities to use for electioneering. In an audio recording obtained by Amabhungane Centre for Investigative Journalism, Mazibuko can be heard shouting at her executive managers to speed up the construction process of the so-called Combi courts or face resignation. MEC Mazibuko can be heard telling a senior manager to tender her resignation if she fails to ensure the construction of the five sport facilities across Gauteng. Through her Department’s spokesperson Nomazwe Ntlokwana, Mazibuko denies alleged interference on administrative matters. “At no stage in her meeting with staff did MEC Mazibuko give unlawful instructions… except she’s stressed the importance of achieving performance targets of the department and fulfilling promises made to communities out there,” says Ntlokwana. #FaithMazibuko better be typing her resignation letter, because wow! Responsible leadership would have released #FaithMazibuko from the position of MEC with immediate effect and/or if Mazibuko herself had any bike of self-respect she would have stepped down by now. No explanation needed. She must fall on her sword.